An investment in your child's story that will pay lifelong dividends. View tuition rates on a per year basis. View the full tuition schedule with combination scenarios. 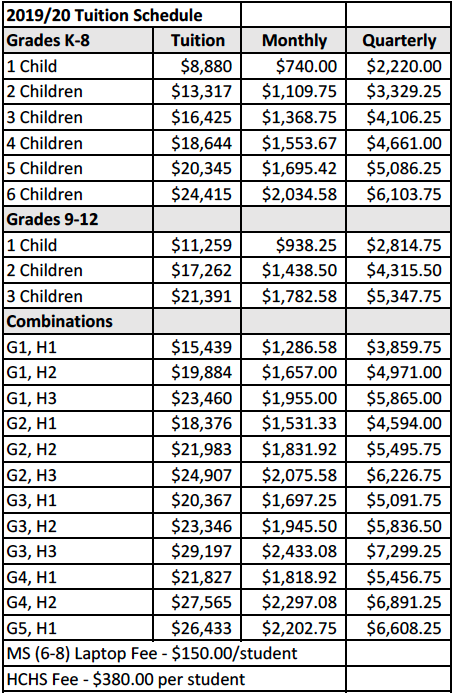 For more information on tuition and Financial, please email zcsinfo@zcs.org.